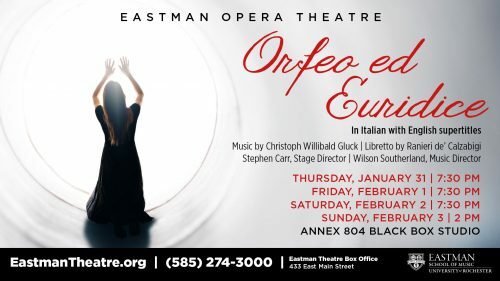 The classic Greek mythological tale of Orpheus, Orfeo ed Euridice, with music by Christoph Willibald Gluck and libretto by Ranieri de’ Calzabigi, will be presented by Eastman Opera Theatre (EOT) January 31, February 1, 2, and 3 in Annex 804 at the Eastman School of Music. 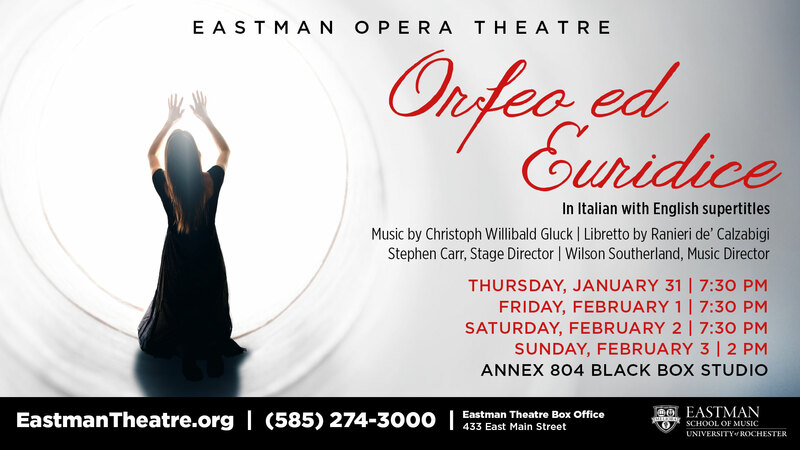 Presented in Italian with English supertitles, Orfeo is directed by Stephen Carr, the Associate Artistic Director of Eastman Opera Theatre. Music Director is Wilson Sutherland, Assistant Music Director of EOT. Perhaps the most popular of Gluck’s works, this influential opera depicts the underground rescue mission in which the hero must control, or conceal, his emotions. Though originally set to an Italian libretto, Orfeo ed Euridice owes much to the genre of 18th-century French opera, particularly in its use of accompanied recitative. 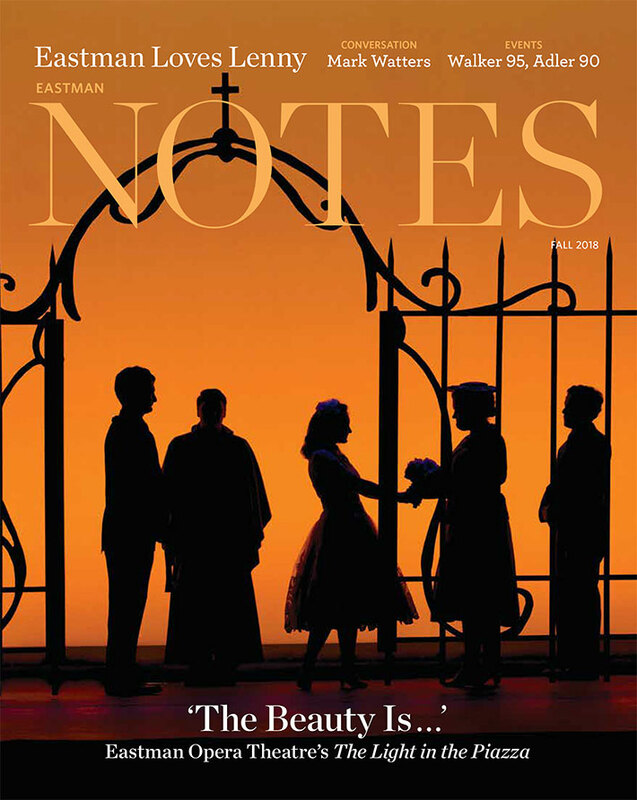 Taking place in Eastman’s “black box” venue, the audience is treated to an intimate look at a stunning opera. A pre-opera talk will take place 1 hour prior to the performance in A710 in the Eastman Annex. The performance runs 1 hour, 45 minutes including intermission. There will be no late seating.